BOOK OF THE MONTH FOR APRIL 2018. Sunday Times bestselling author Andrew Morton reveals new information and sources that totally transform our perception of Wallis Simpson. 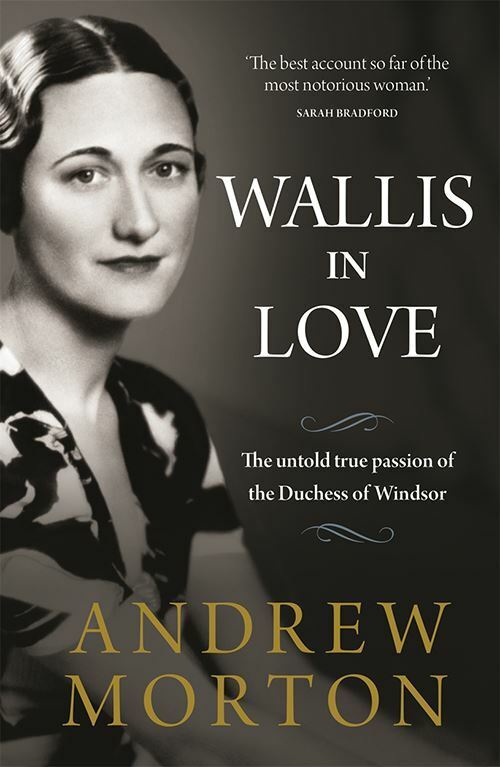 'Wallis in Love' brings a fascinating new perspective on the 20th century’s most controversial royal scandal. Andrew Morton’s impeccable research and unerring skill for riveting storytelling combine to present a strong case for a new and startling reveal: that the woman who rocked the world with her uncompromising passion for the Prince of Wales may have fooled everyone by keeping the object of her true passion hidden away… From her relatively lowly beginnings in America – where young Wallis and her mother were dependent on her domineering and powerful Uncle Sol, to her rise through the social ranks and her determination to one day beat men at their own game – to the ultimate conquest of the Prince of Wales. Morton paints a vivid and multi-faceted picture of a compelling, ambitious and often hard-hearted woman, who may have won the jewel in the British crown but very possibly at the expense of her true happiness. 'Wallis in Love' reveals the men Wallis truly loved, the men who broke her heart – and the hearts she broke in turn. In this vivid, fresh and frankly amazing portrait of the Duchess of Windsor, Morton draws on interviews, secret letters, diaries and never before seen or heard primary sources. From the day she was born in a ramshackle cottage in the hills to revealing what really happened the night her husband died, Morton paints a fresh and enticing portrait of the Duchess of Windsor.